In this paper, a new approach to estimate Q factor of geological formations on seismic lines was proposed. The purpose was to evaluate the amplification of ground motion on a site dedicated to store radioactive waste. Attenuation introduced dissipative dispersion which could be measured from the frequency-dependent phase velocity of the VSP down-going wave. The variation of velocity ΔV due to the variation of frequency was estimated from a residual variation dΔt of the arrival times of the down-going wave. A scan procedure in dΔt has been implemented to estimate the quantity ΔV and the Q factor, the search being done in realistic domain of Q values. 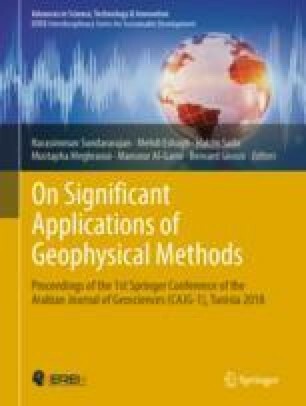 The methodology was checked on VSP and then extended from well data to surface seismic data, using a predictive law with uncertainties estimations. The methodology was applied to estimate Q factors of the Callovo-Oxfordian claystone (host rock) and limestone formations, using both VSP and seismic lines.